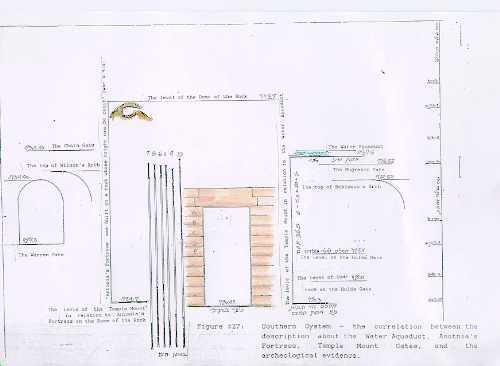 Southern System: The correlation between the description of the Lower Water Aqueduct, Antonia's Fortress,Temple Mount Gates, and archaelogical evidence. The Bedrock and cave of the Dome of the Rock are to the left. The viewer is looking East.